Directions: Add one rounded scoop of Chocolate Gold Standard Whey to a glass filled with 180 - 240ml water, before stirring (or shaking in a shaker cup) until dissolved. Add fresh or frozen fruits, peanut butter, coconut or other ingredients to your shake to make it even more delicious. Trying adding Gold Standard Whey to muffins, cookies, brownies for a protein boost! 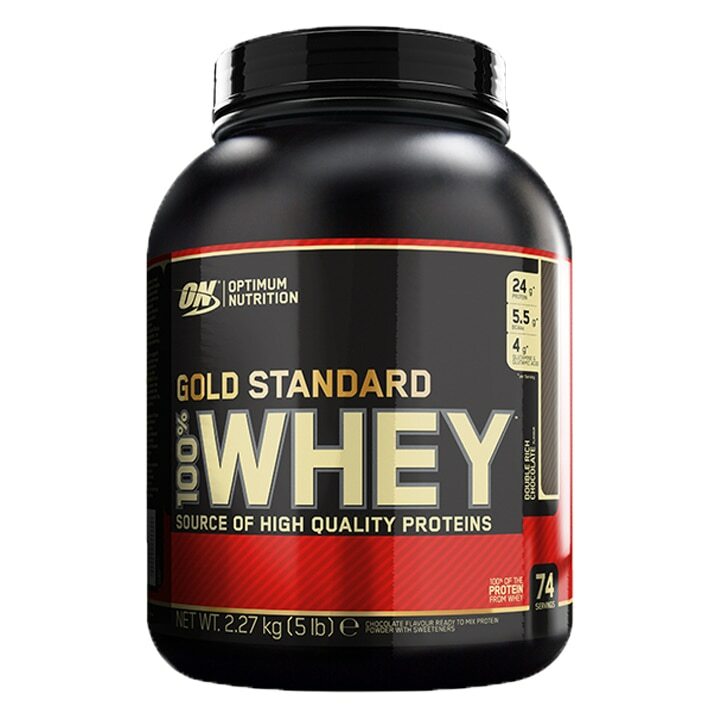 Optimum Nutrition Gold Standard 100% Whey Powder Chocolate is rated 4.8 out of 5 by 137. Rated 4 out of 5 by Kristina123 from Its ok It was okey for a while, but it took me a year to finish this tub. I just bought a new one (white chocolate and raspberry) will see if it will be nice. Not sure if its best to have multiple flavours at home so you can choose and its not getting so synthetic and unbearable.